If you find yourself in Stirling over the summer months, head over to Historic Environment Scotland’s The Engine Shed where you can find items and images from the Archives and Collections which form their new exhibition entitled “The Glasgow School of Art Fire”. 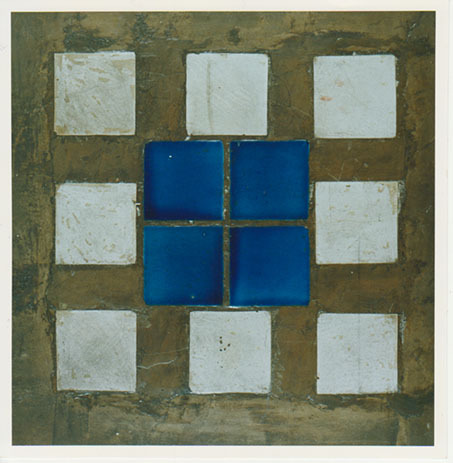 Focusing on the salvage work and restoration following the Mackintosh fire in 2014, the display features several surviving items which were recovered from the remains of the School’s library and are now part of the Archives and Collections. These items posed several challenges in terms of conservation. Key amongst these was how much treatment that the items should be given prior to display when the focus of the exhibition is to illustrate the effects of fire damage. It was decided that only the most fragile items would be given treatment as they could be susceptible to further damage during transit and display. The highest risk items were a wooden Mackintosh clock face and an iron window frame which both required stabilisation. 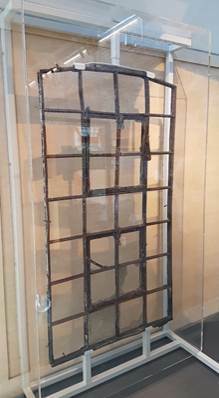 Large iron window frame salvaged from the Mackintosh Building. Image courtesy of Lynsey Haworth at Historic Environment Scotland. As can be seen in the photograph above, one side of the clock face was very burnt and it was important to try to keep the burnt surface as well preserved as possible. A combination of pH neutral PVA adhesive and deionised water was used to do this, substances specifically chosen for their chemically stable properties. 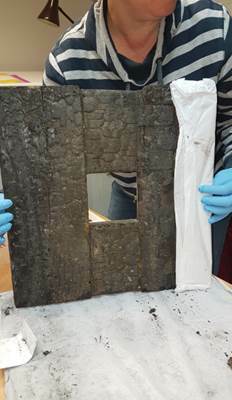 Because the window is large and still included fragments of glass, paint, putty and mastic, it was even more difficult to preserve. It was important not to lose any of the pieces and a great deal of consideration went into the best option for holding them in place. Eventually it was decided that pH neutral PVA adhesive and Paraloid B72 – a resin soluble in acetone which also acts as an adhesive – were the best options. Some of the fragments to be secured in place were so small that substances had to be applied using a syringe or pipette. 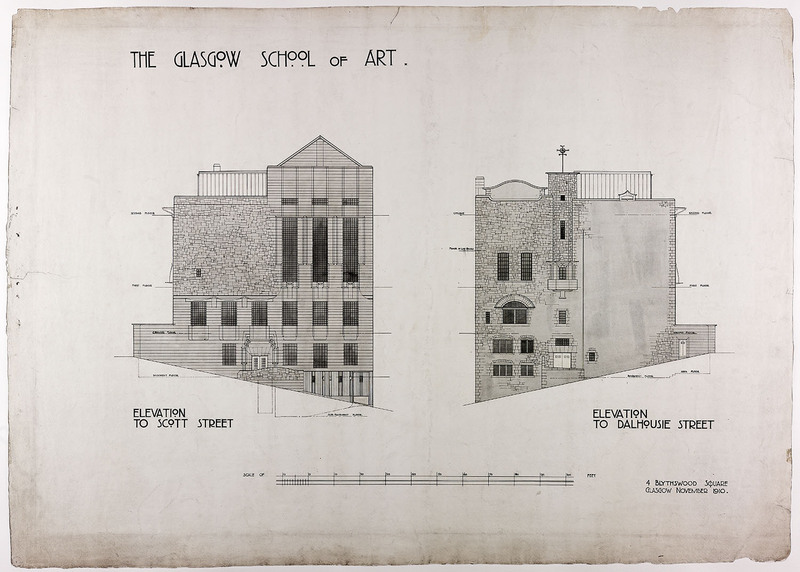 Also on display is a selection of images from our collections including three of Mackintosh’s original design drawings for the second phase of construction of The Glasgow School of Art from our Mackintosh Art, Design and Architecture Collection. In addition to this are copies of photographs of the Mackintosh Building from our Records of The Glasgow School of Art Collection. 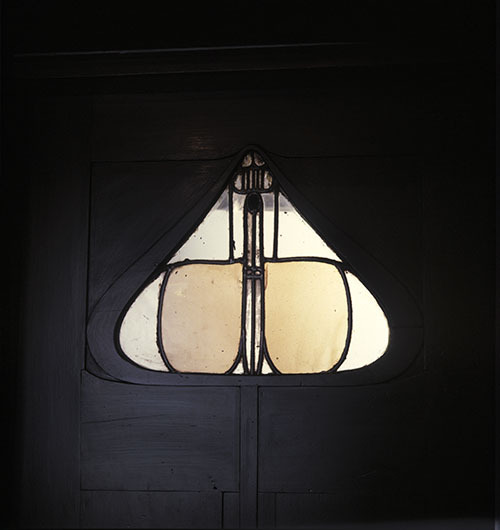 Photographs of a leaded stained glass door panel, an original Mackintosh clock and the tiled motifs in the stairwells are small but iconic details which will re-create the original atmosphere of the building in this exhibition. ‘The Glasgow School of Art Fire’ exhibition will be on at The Engine Shed between July and September 2017. 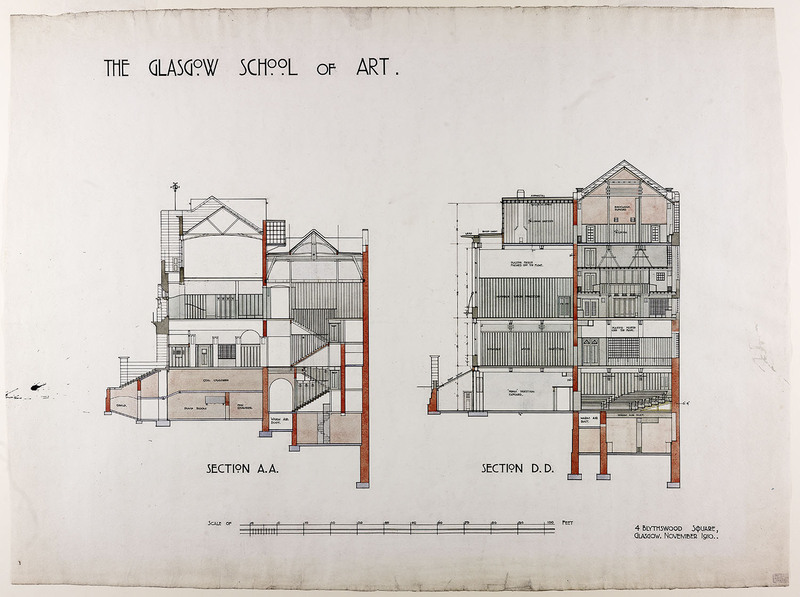 Mackintosh Art, Design and Architecture Collection, The Glasgow School of Art Archives and Collections. 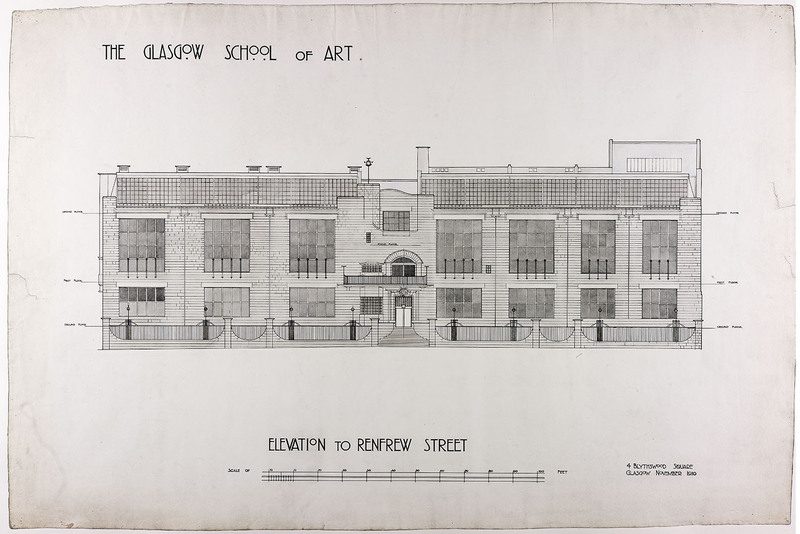 Records of The Glasgow School of Art, The Glasgow School of Art Archives and Collections. Special thanks to Lynsey Haworth from Historic Environment Scotland for providing information which informed this blog post.